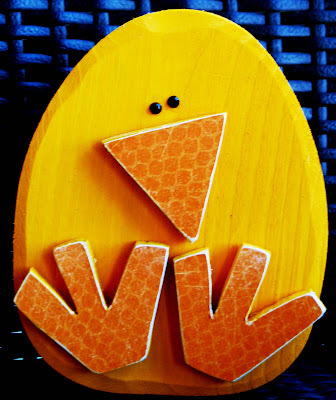 Check out the cute chick! It is going to be sent with your April My Page 4 All Seasons Autoship club. It is about 7 inches tall. Cute isn't it! There are just 5 available to purchase here! Kit comes with the wood, orange paper and paint. I just finished a layout that we will be using for the She Said Autoship club shipping in May. So, I updated the picture!